Isn’t honey garlic the go-to flavour for a lot of people? Certainly for my family it is! My honey garlic meatballs are a testament to that, as well as the most popular recipe on this website: my Instant Pot honey garlic chicken! 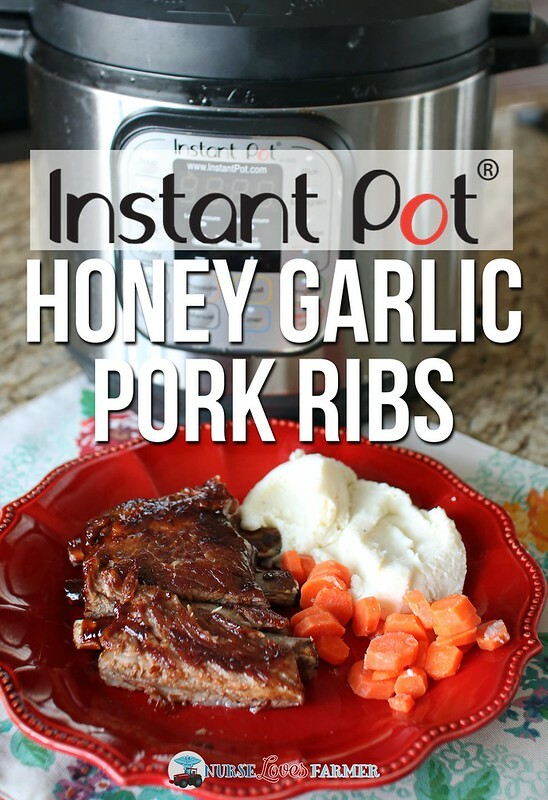 The recipe for my honey garlic ribs has been on my blog for years now, but seeing as how pressure cooking is on the rise in popularity, I decided to convert one of my favourites into this Instant Pot honey garlic pork ribs recipe. Place the trivet (rack) that comes with your Instant Pot inside the pot. Pour 1 cup water, ½ cup apple cider vinegar and the liquid smoke inside the pot. Place the ribs inside the pot, standing on their side on the trivet so they curl around the pot as shown. Plug in the pot, place on the lid and make sure it is set to “sealing”. Set it on “Manual” (high) for 25 minutes, and let the pot take care of the rest. While the ribs are cooking, you can prepare the sauce. I often save ½ of a full recipe and freeze it for next time. When you hear the beep that the ribs are done cooking, watch the timer and allow for 5 minutes natural pressure release, then open the valve for a quick pressure release. Remove the ribs from the Instant Pot and slather with honey garlic BBQ sauce. If desired, place on a baking tray and broil in your oven until sauce is bubbling and slightly crispy. 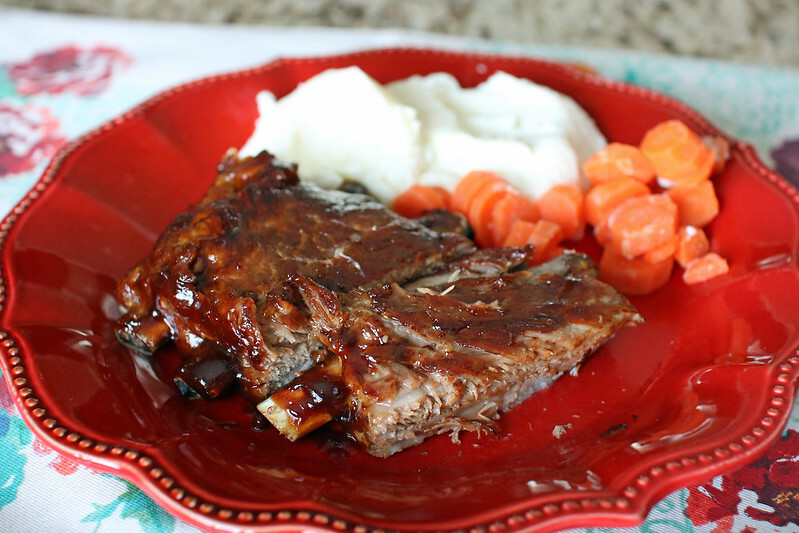 Fall-off-the-bone tender pork ribs cooked in the Instant Pot slathered in homemade honey garlic BBQ sauce is a meal the whole family will devour! Place the trivet (rack) that comes with your Instant Pot inside the pot and pour 1 cup water or 1 cup of apple juice (or a combination of the two, to equal 1 cup). Place the ribs inside the pot, standing on their side on the trivet so they curl around the pot as shown. Plug in the pot, place on the lid and make sure it is set to "sealing". Set it on Manual (high) for 25 minutes, and let the pot take care of the rest. While the ribs are cooking, you can prepare the sauce. I often save ½ of a full recipe and freeze it for next time. When you hear the beep that the ribs are done cooking, watch the timer and let naturally release for 5 minutes and then finish with a quick release. Slather the ribs in honey garlic sauce and broil in oven if desired. In the first written instructions it calls for liquid smoke, but it doesn’t say how much.